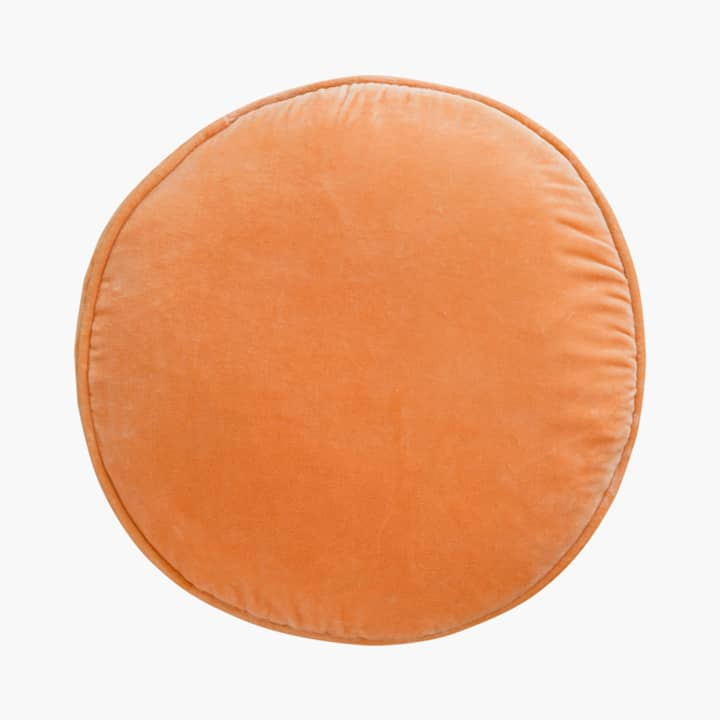 We found the perfect round cushion! It's made out of fine grade velvet and comes in beautiful colors that are fun to mix and match. Great on a bench or a chair, to sit on. Or as decoration in a sofa or bed. The cover is double piped at top and bottom with a 3cm wall. Insert pillow included. Insert pillow: Cotton cover with 20% down and 80% feather filling.